47. 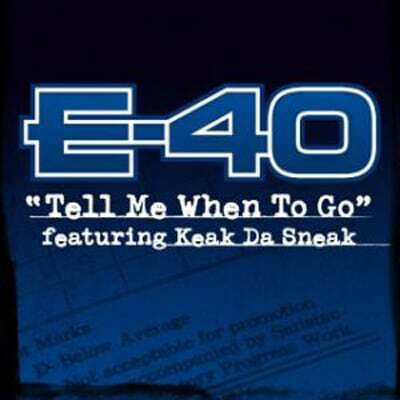 E-40 f/ Keak da Sneak "Tell Me When to Go"
This was mainstream America's first taste of what was going on in the Bay Area around 2005. Over a strangely not-very-hyphy Lil Jon beat—who, it goes without saying, is not from the Bay Area—two of the Bay Area's most distinctive voices attempt to break it down for a wider audience. E-40's call-and-response section is practically a checklist of Things That Are Hyphy, presumably there for didactic purposes. The song is fun, for sure, but it's also very calculated and clearly curated by a major label.